Rio de Janeiro real estate sale prices were stable last month, showing a marginal 0.08 percent increase. But, over the last twelve months, the Cidade Maravilhosa showed a cumulative decline of -2.99 percent. RIO DE JANEIRO, BRAZIL – Residential real estate sale prices remained stable in February, showing a nominal increase of 0.08 percent across Brazil while inflation rose 0.34 percent in the same period, according to the latest FipeZap Sale Index, which monitors the listings and sales values in fifty Brazilian cities. 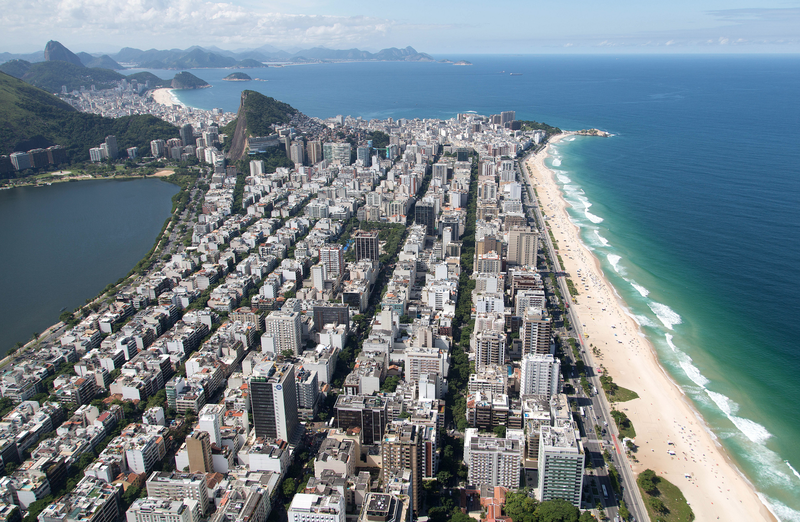 Leblon and Ipanema still have some of the highest real estate prices in Brazil, photo by Fernando Maia/RioTur. In February, Rio de Janeiro real estate prices recorded an increase identical to the nationwide average, 0.08 percent. However, over the last twelve months, the Cidade Maravilhosa noted a cumulative decline of -2.99 percent. São Paulo fared slightly better with prices rising 0.27 percent last month, but still also fell short of the month’s 0.34 percent inflation rate (IPCA/IBGE). On the positive side, real estate prices in São Paulo rose 2.02 percent over the last twelve months. Among the fifty cities surveyed last month, the biggest increases in sales values were seen in: Florianópolis (1.00 percent), Goiânia (0.94 percent), and Manaus (0.84 percent). On the other hand, the most significant decreases were observed in João Pessoa (-2.30 percent), Curitiba (-1.59 percent), and Belo Horizonte (-0.43 percent). In February, the average sale value of residential properties across the fifty cities was $7,189 per square meter. Rio de Janeiro remained the city with the highest square meter value in the country (R$9,481), followed by São Paulo (R$8,862) and Brasília (R$7,367). Despite Rio having the highest average values in Brazil, it was the upscale neighborhood of Cidade Jardim in São Paulo that once again registered the highest sales values in the entire country. Located in the Morumbi district, real estate prices in Cidade Jardim topped out at R$24,910 per square meter last month. Rio’s upscale neighborhood of Leblon had the second highest prices in the country at R$20,487 per square meter, followed by Ipanema at R$18,811. In addition, a new survey from the Brazilian Real Estate Development Association (ADIT) showed that over ninety percent of Brazil’s business sector believe that the country’s real estate market is set to show growth in 2019. The most important reasons for the positive forecast, according to the survey, were credit availability, political stability, and falling interest rates. The ADIT study included approximately two hundred of Brazil’s most prominent business leaders and entrepreneurs.